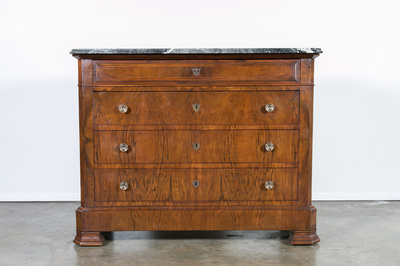 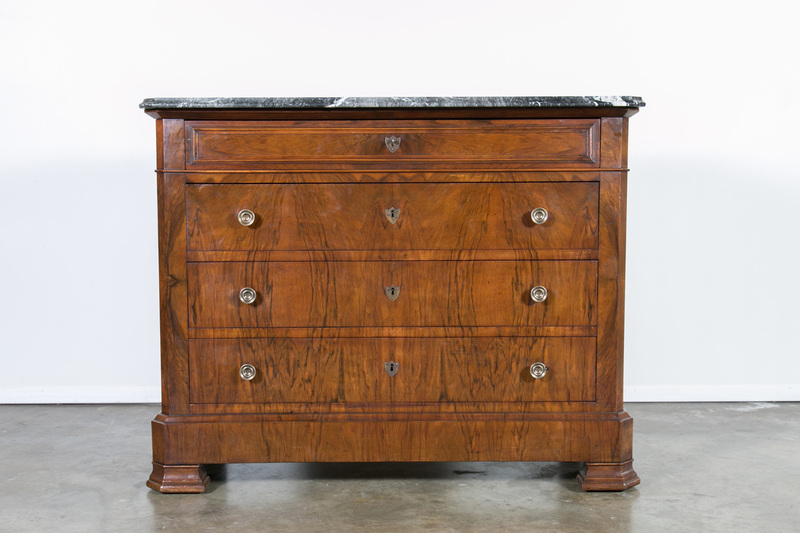 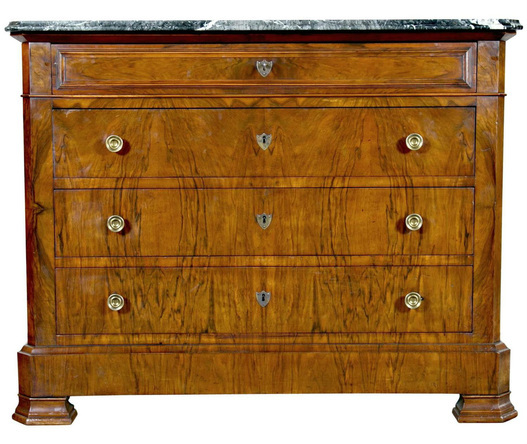 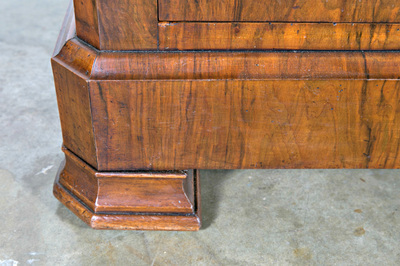 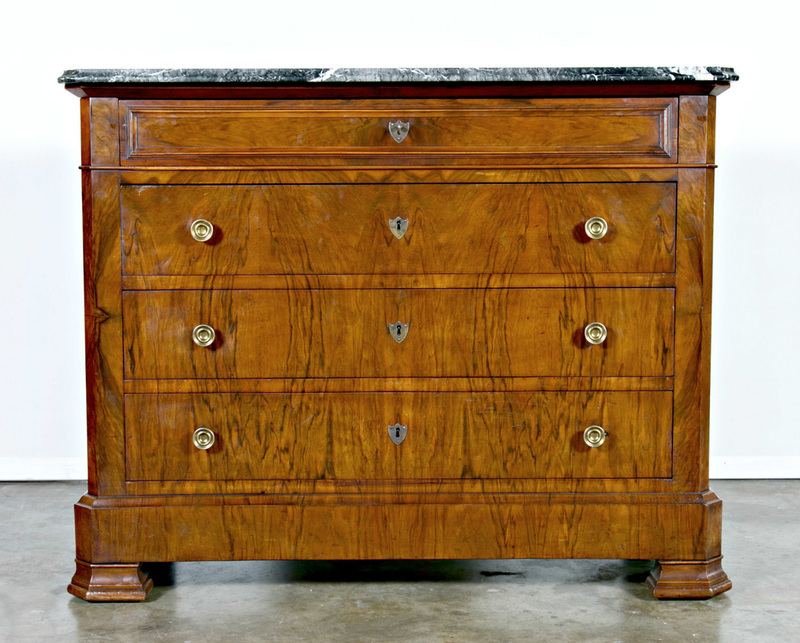 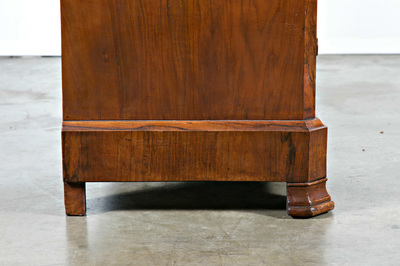 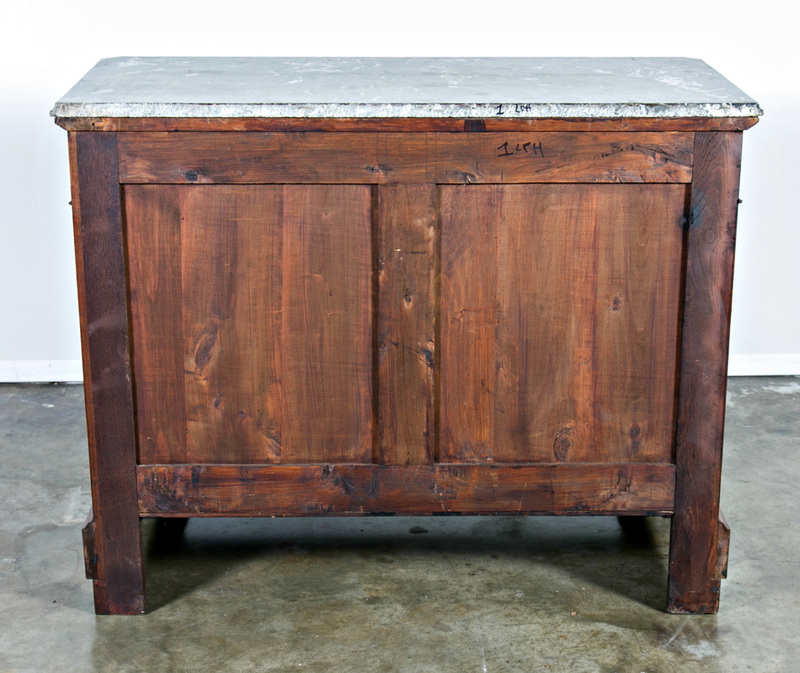 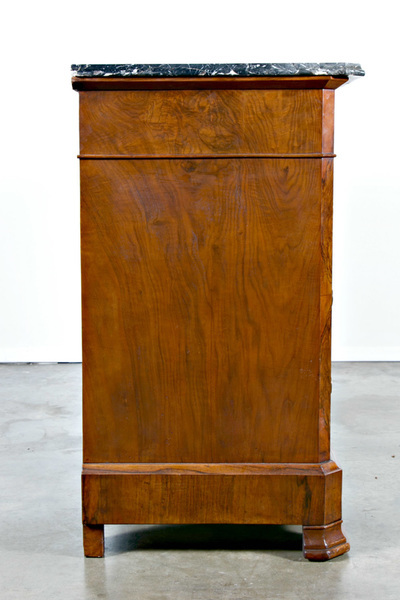 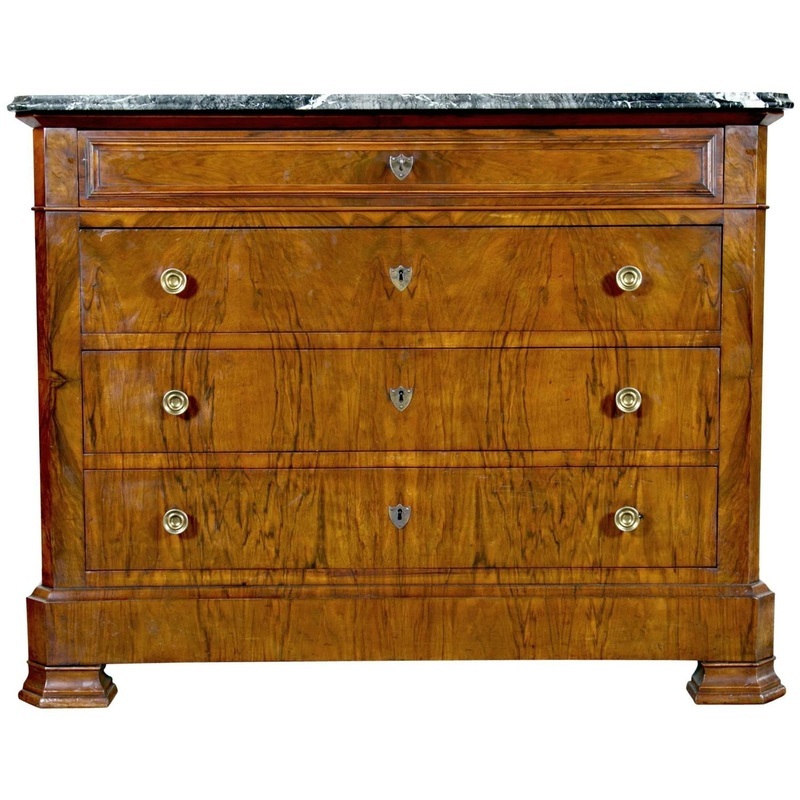 An antique four-drawer French Louis Philippe walnut commode having an exceptional gray marble top with an ogee edge and canted corners that overhangs the body to balance the proportion of the plinth base and sabot feet. The angle cut continues down the front vertical corners and is repeated at the base and emphasizes the geometric quality of the style created during the reign of King Louis Philippe (1830-1848). 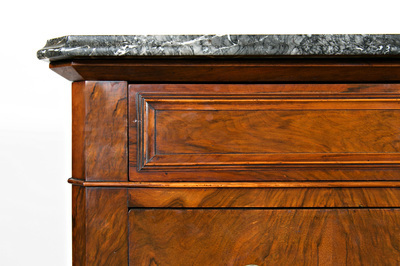 The facade is finished in meticulously bookmatched walnut that remains in excellent condition. 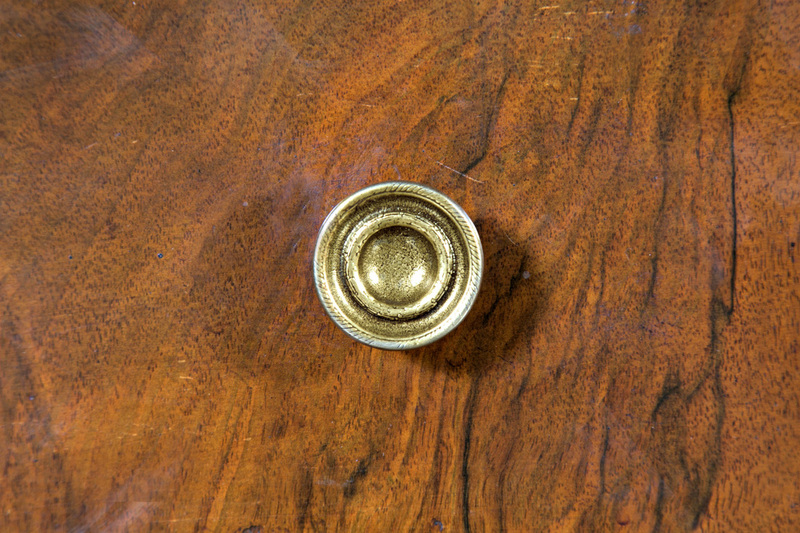 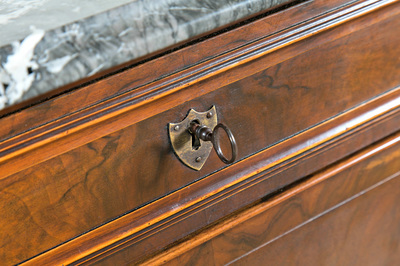 The three lower drawers have a pair of circular pulls with a center escutcheon that identifies the keyhole. Not only decorative, the escutcheons protect the wood from the iron key when it is inserted into the lock. 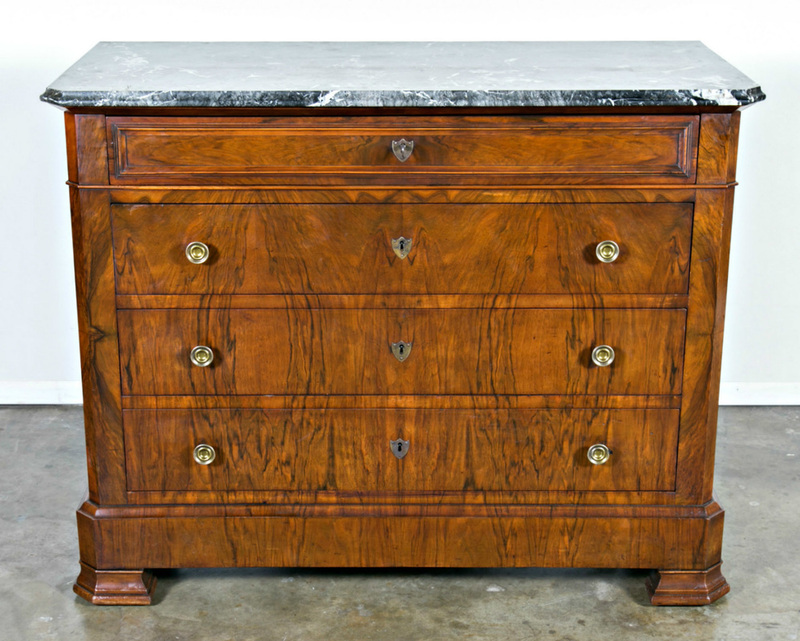 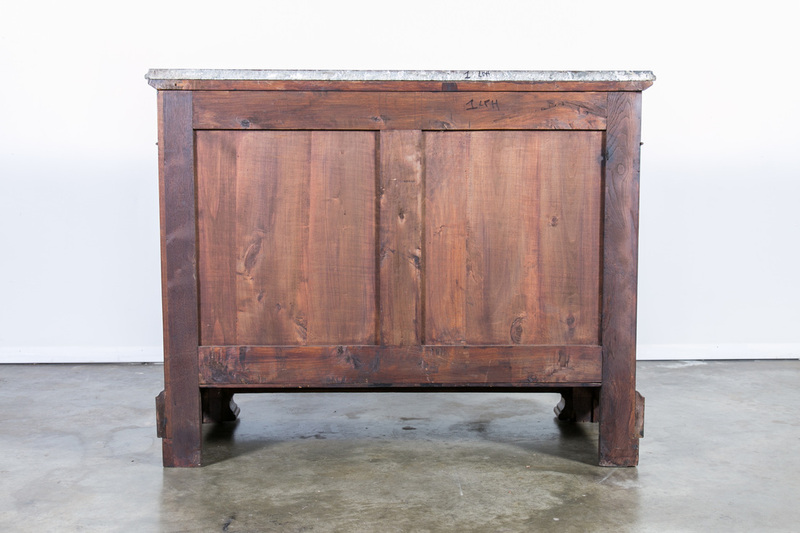 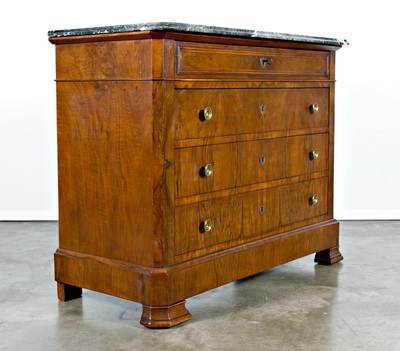 This handsome commode, handcrafted by talented artisans from the Brittany region, retains its beautiful rich, original color and patina and has a fresh French polish.